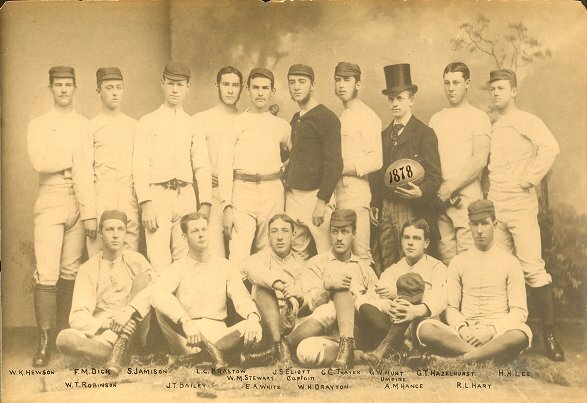 Although the first football game against another college had been played in 1876, regular, scheduled intercollegiate play did not begin until this year, 1878. This year also marked the first victory by Penn against another college. This team was had no coach; students alone were responsible for the existence of the team and for all fundraising, scheduling, training and strategies on the field. 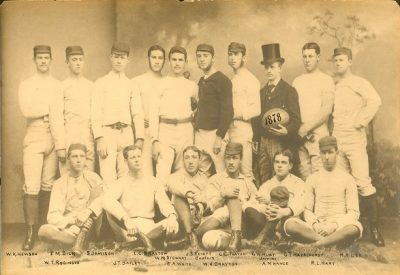 For a description of football in these early years, see the recollections of Davidson Kennedy, Class of 1878.